No. 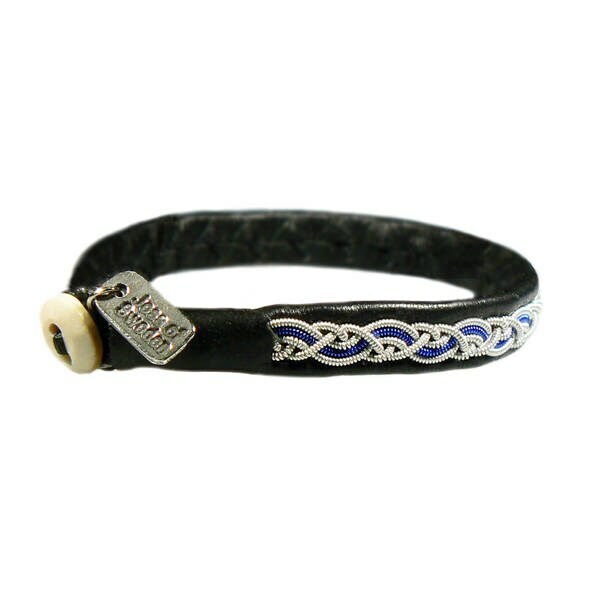 1034 B:Sami Bracelet of pewter thread, colored copper thread, reindeer leather. Color in pictures, 1) black-blue 2) black-blue. 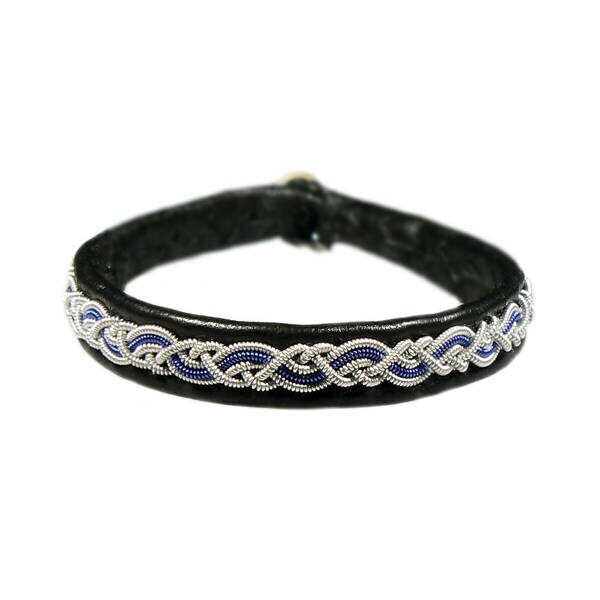 If you would like another color than black of the leather, just write me a note which color you would like to have instead!